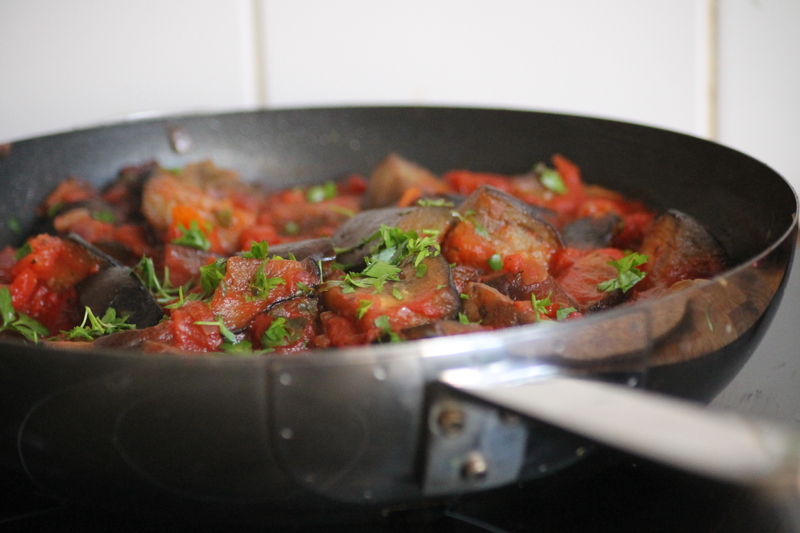 Caponata is a Sicilian Aubergine Stew that has become one of our regular family meals. It’s on our menu most weeks! It’s so versatile; you can serve it hot or cold and have it with bread, pasta or couscous. We usually have it with gnocchi. Traditionally Caponata would be made with celery as well as aubergines but I have chosen to leave this out in favour of a Jamie Oliver recipe that I have slightly adapted over time. 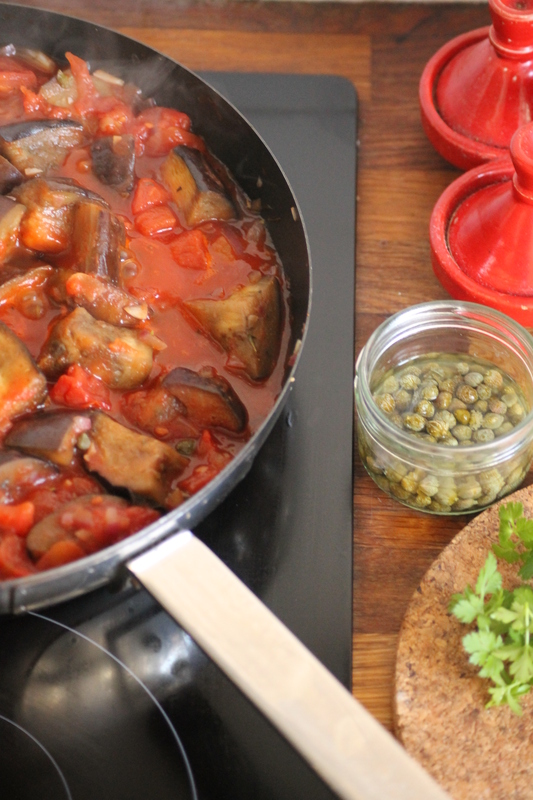 What makes this different from other vegetable stews is the rich taste; capers and vinegar are added to the aubergines and left to evaporate creating a fantastic depth of flavour. When I first made it for my daughter I didn’t add the capers until I had put a bowl aside for her as I thought they would be too much of an acquired taste for a toddler. However when she noticed I had these interesting little flower buds in my dish she wanted to try them. She liked them so much she kept stealing them of my plate! It’s become one of our favourite mid-week meals because it is so easy to make and is also mainly made from store cupboard ingredients. If you have a couple of aubergines and you are not sure what to make for dinner you should definitely give this a try! 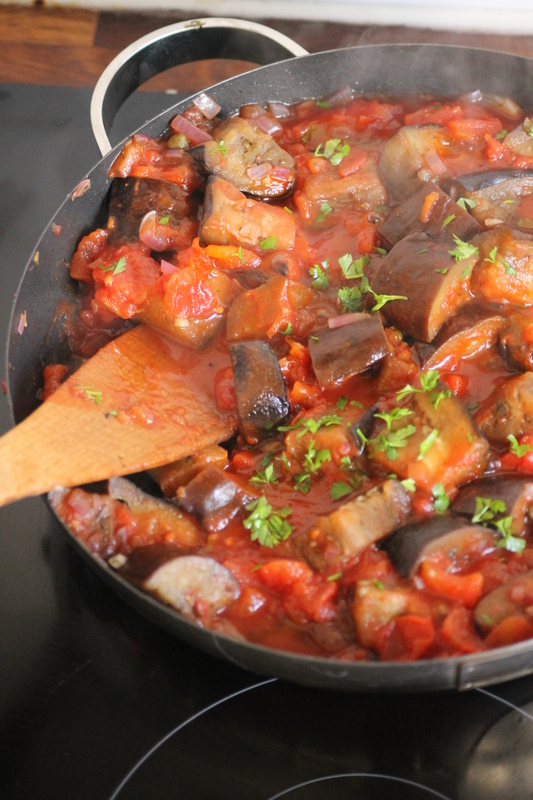 Heat the olive oil in a large pan and add the aubergine chunks and mixed herbs. Cook the aubergines on a high heat turning occasionally until they soften and get brown on all sides, approximately 5 minutes. Add extra oil if needed. Add the onion and garlic a fry for a couple of extra minutes. Add the capers and then pour the vinegar in the pan. When the vinegar has evaporated add the chopped tomatoes and half of the chopped parsley and simmer for an extra 15-20 minutes. 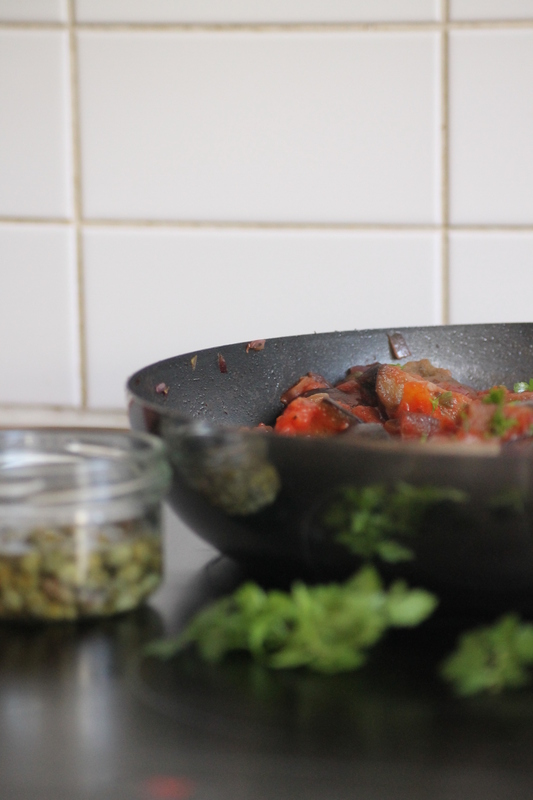 Sprinkle the rest of the fresh parsley before serving.